Mickey Mouse is ready to scare you for Halloween. 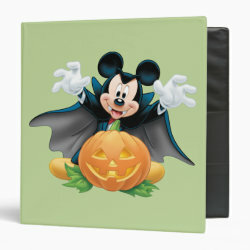 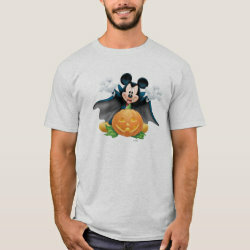 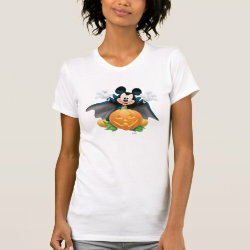 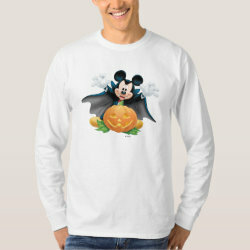 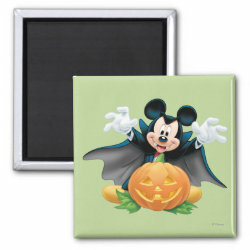 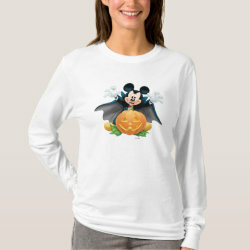 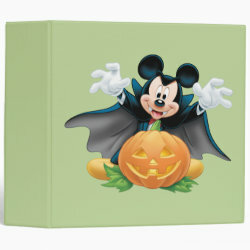 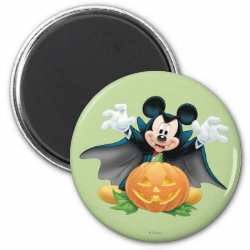 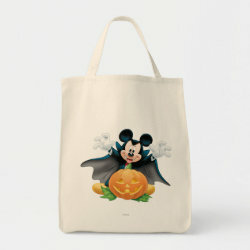 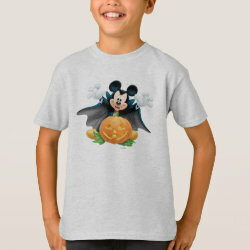 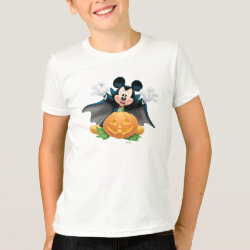 Mickey is dressed up as a vampire, with vampire teeth and cape, and is hiding behind a More... huge jack-o-lantern. 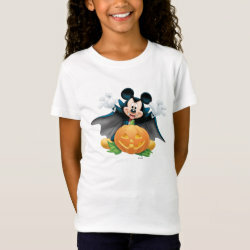 This cute design from the official Disney store is great for Halloween. 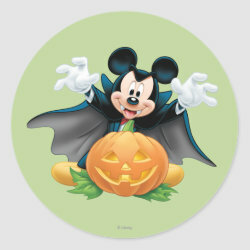 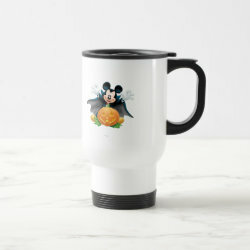 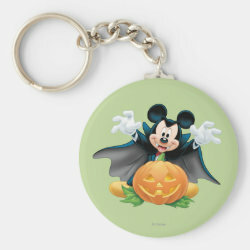 Vampire Mickey is available on a range of different customizable products, from t-shirts and trick-or-treat bags to mugs and buttons.